Michael K OlmstedPersecution of the believers accelerated in Jerusalem as the church grew. Read about the tragic stoning of Stephen, which Saul the Pharisee supported (Acts 7:54-8:1). Luke tells us that the larger number of Christians, not the original apostles, fled to places like Phoenicia, Cyprus and Antioch of Pisidia in the north (Acts 11:19). These Gentile cities had a larger population of Jews who were established in the business community and even respected by the local government. Antioch would offer greater opportunities to share Christ in an open society where Jews were already accepted. Much of the world saw Christianity as just another variety of Judaism. These are the earliest days of the church and already the followers of Jesus are taking the gospel to “even the remotest part of the earth” (Acts 1:8). Antioch, prosperous because of its strategic location for land trade routes and proximity to a seaport, was the third-largest city in the Roman Empire. Already Philip had shared the gospel with a Ethiopian court official (Acts 8) and Peter had preached in the home of Cornelius the Roman centurion (Acts 10). But this is the first strategic effort to reach into the non-Jewish population of a Roman city, as the text specifies the Jerusalem church “sent Barnabas to Antioch” (Acts 11:22). This is uncharted territory for the Jerusalem church, reaching outside their Jewish world, considering how to handle so many professing faith in Christ, both Jews and Gentiles. 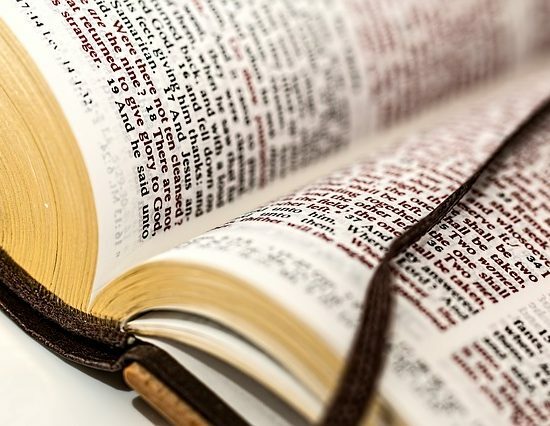 Someone has to provide sound doctrinal teaching for those who know little about Scripture as well as those who must learn to see beyond their Jewish traditions. Barnabas is excited about the spread of the “grace of God” among the Gentiles and “he exhort(s) them all to remain faithful to the Lord with steadfast devotion” (Acts 11:23). Barnabas, “the encourager,” who had earlier stood up for Paul before the mistrust of the apostles in Jerusalem, now thinks about Paul as the perfect partner to witness and teach the growing number of converts. And, perhaps because of Paul’s credentials as a Pharisee, Paul may also benefit from his shared background with the established Jewish community. Connections are no accident! God is at work establishing a significant base of witness to the world beyond Judea. Barnabas does not send Paul a letter. He goes to Tarsus to recruit his old friend and they become a powerful team even beyond their time at Antioch. The believers in Antioch grow in faith and it is in that city those disciples are first called “Christians.” We are witnessing Paul’s development as a powerful influence on the early church, growing beyond its strong Jewish character to a fellowship that thrives in varied cultures. The final verse of Acts ends “teaching concerning the Lord Jesus Christ with all openness, unhindered” (Acts 28:31). From this point on, evidenced by the encouragement of Barnabas and the zeal of Paul to win the world, the barriers against the gospel are falling away. After a year of incredible advances for the gospel in a pagan city, our attention is turned from a story of evangelism to the necessary outcome of faith in God when the world suffers. James 2:17 reminds us “faith if it has no works, is dead, being by itself.” Barnabas and Paul are very busy establishing a foundation for this new church, when some Christian prophets arrive from Jerusalem. They have not come to check on the work’s progress or administer doctrinal tests, but to announce a severe famine is coming soon to Judea. Historical records confirm that there was a major famine in Judea around AD 46-47 when Claudius was emperor (AD 41-54). Remember the Jerusalem church had experienced a crisis earlier when it was overwhelmed by the needs of Greek speaking widows and orphans. (Acts 6:1-6) Barnabas and Paul take charge and organize the Antioch church’s efforts to meet the needs of Jerusalem believers. This is the first record of such a connection between two very different congregations separated by culture as well as distance. In that day there were no government programs or relief efforts. Acts 12 records a bit of this famine when Herod Agrippa I, a puppet of Rome, was approached by the residents of Tyre and Sidon in their need. That puppet king cared little about anyone else and came to a horrible end (Acts 12:20-25). In contrast, the church of Antioch thrives as they seek God’s way and help others in a time of suffering. This text reinforces key characteristics of a church that loves and serves God. First, they reached beyond their familiar safe world to draw others to Christ. When you have experienced God’s love and find a new life in his grace you have a concern for others. Jerusalem Christians fled persecution in their city, but instead of merely running away to a safe place they took hold of an opportunity to bless others and share the good news of Christ. Antioch became their mission field. Can you see a new school, different job, or challenging circumstance as an invitation to share Christ? What we may dismiss as adversity may be an open door of witness. Second, the scattering of the Jerusalem church sent followers of Jesus to help others and grow in faith. It is no accident we call this discipling or nurturing. Barnabas went to Tarsus to ask Paul for help in teaching the growing number of converts in Antioch. (Acts 11:26) Judging by public morals in our nation, the decline in churches, and the decrease in baptisms, we are not doing a very good job of teaching sound doctrine or values. We can learn from Barnabas and Paul. Are you committed to Christ and living out your faith in your actions and relationships? How are you involved in nurturing programs through your church? Third, Barnabas and Paul led the new Christians of Antioch to help their fellow believers in Jerusalem through a time of great need. Again, there were no government programs or funds in that day for the sick, poor, jobless or minorities. Everyone was on their own. Ours is the most prosperous country on the planet today, yet children go to bed hungry, people sleep in their car or worse, affordable housing is a rarity and medical care is not available to those in greatest need, Do these words remind you of a bleeding heart liberal? You need to read Jesus’ words and observe how he treated people. And if you think that is only a New Testament idea, consider the first (great) commandment to love God and love your neighbor as you love yourself (Leviticus 19:18 and Matthew 5:43). Read 1 Corinthians 16:1-9 where Paul is reminding the church about the financial gift they are gathering for the church in Jerusalem. When you realize the enormity of God’s gift to you it should be clear that your heart and mind should be shaped by generosity for others. Like Barnabas, we are all gifted by God to be an encourager to others in many different ways.